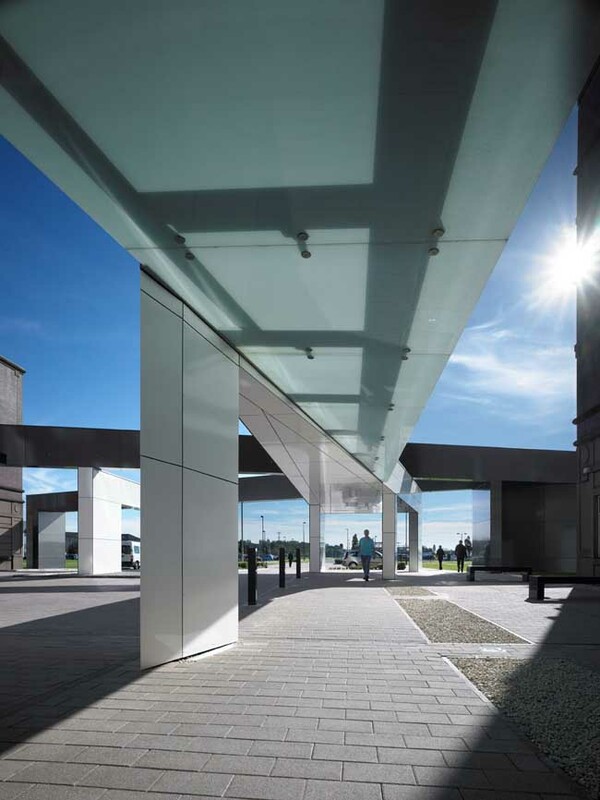 Architects Holmes have completed a striking new front entrance and reception area for the Golden Jubilee National Hospital in Clydebank. The new main entrance and reception points have been designed as bold modern interventions to complement the existing building. 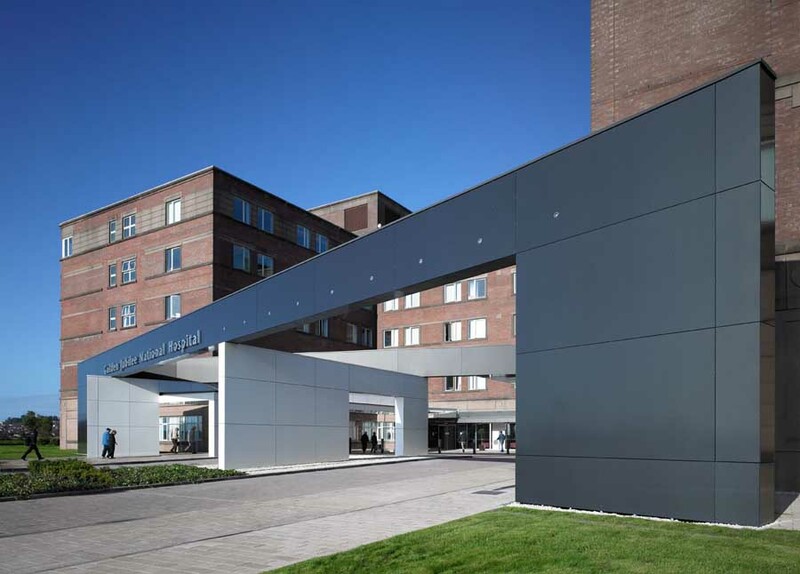 The project’s main aim is to provide a welcoming and accommodating environment for the growing number of patients being treated at the Golden Jubilee National Hospital in support of its new status of specialist West of Scotland Heart and Lung Centre. 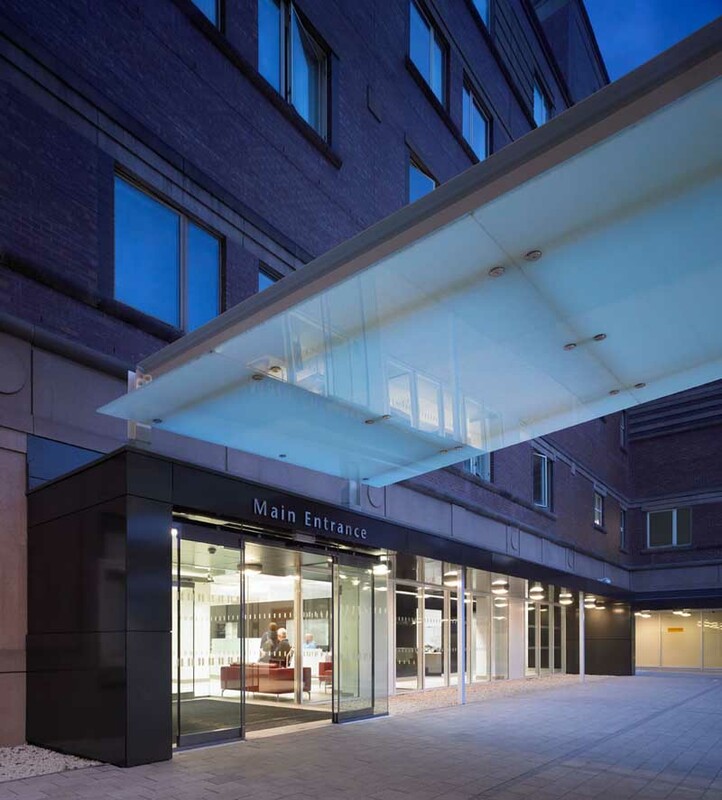 The redesigned front entrance has a covered glazed walkway and an impressive V-shaped gateway structure which announce the hospital’s main arrival point. The design utilises large areas of glazing and polished Trespa cladding, internally and externally, to connect the spaces. A discrete ambulance entrance, dedicated parking and well-considered transport drop off points, are provided to maintain patient privacy during transfer. 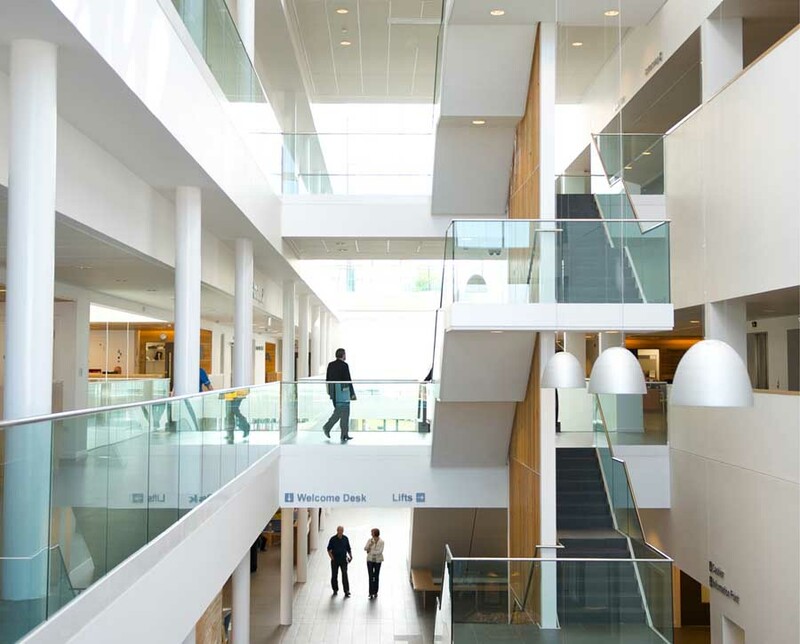 Internally, the design also presents a modern, bright space, creating an open, transparent and positive environment with a welcoming ambience, important for the wellbeing of the hospital’s users and in particular its patients and visitors. 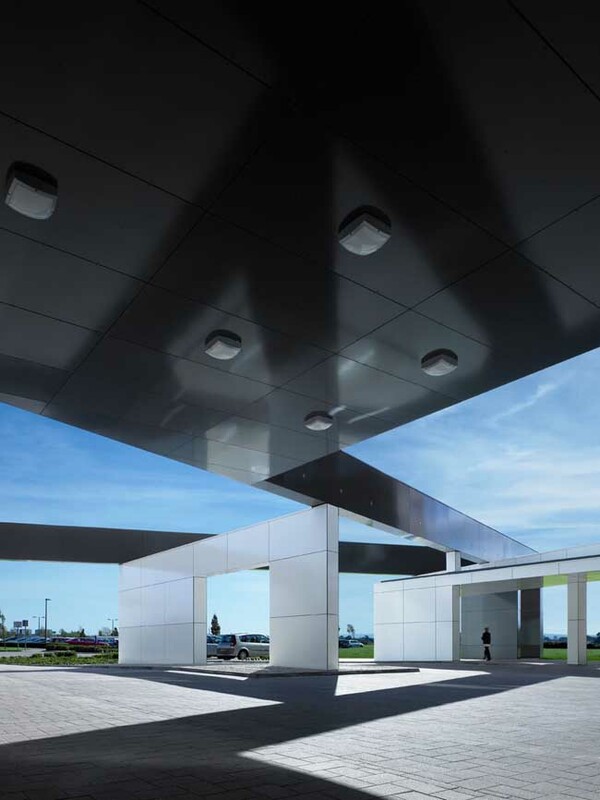 The reception area features an office box, clad in dark-coloured modular panels which create a visual connection to the external canopies and structures. 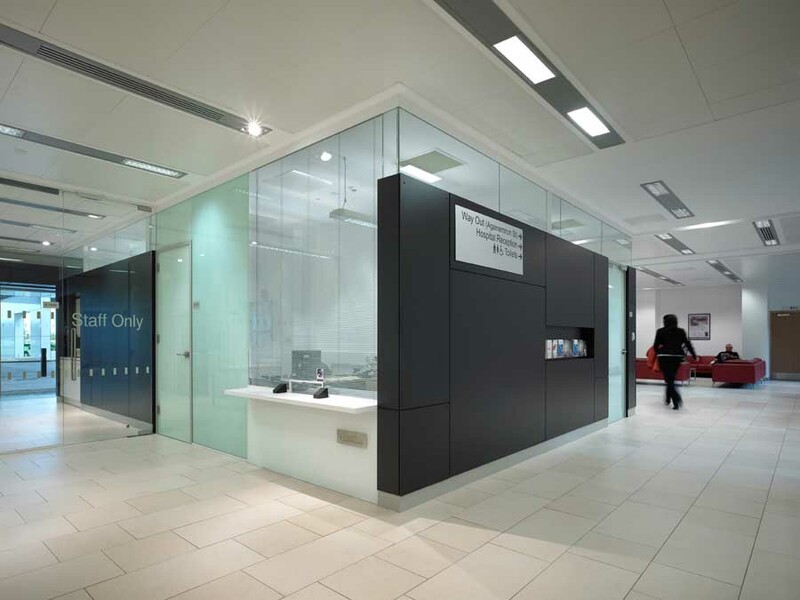 The innovative design for the hospital main entrance and reception area sets an excellent example of a modern approach to hospital design that is open, transparent and inviting. 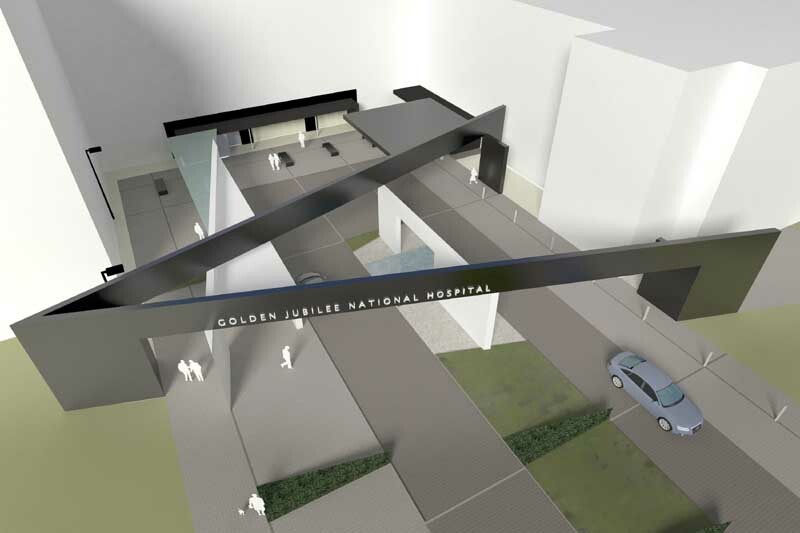 Planning permission has been granted to architects Holmes for a new front entrance and reception area for the Golden Jubilee National Hospital in Clydebank, outside Glasgow. The new gateway will be both stylish and practical, and features a stunning V-shaped structure spanning two new arrival points for pedestrians and ambulances. 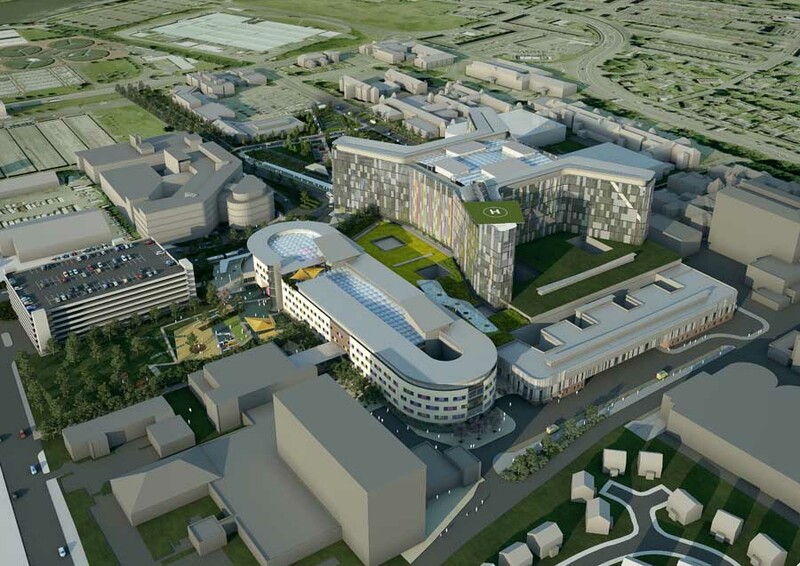 The design of the new gateway will announce the hospital’s main arrival point as well as providing an enhanced visitor experience. 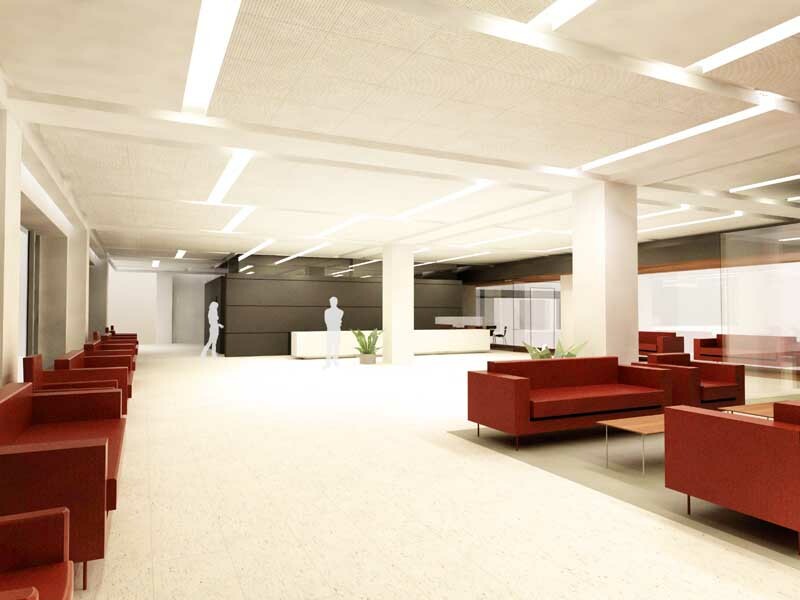 The new-look reception area will have increased space and capacity, providing a comfortable facility for patients, staff and visitors. Work on the project begins in June with an estimated completion date of Christmas 2008. The new gateway project will be complemented by a new catering and dining facility, which starts work in Summer 2008. 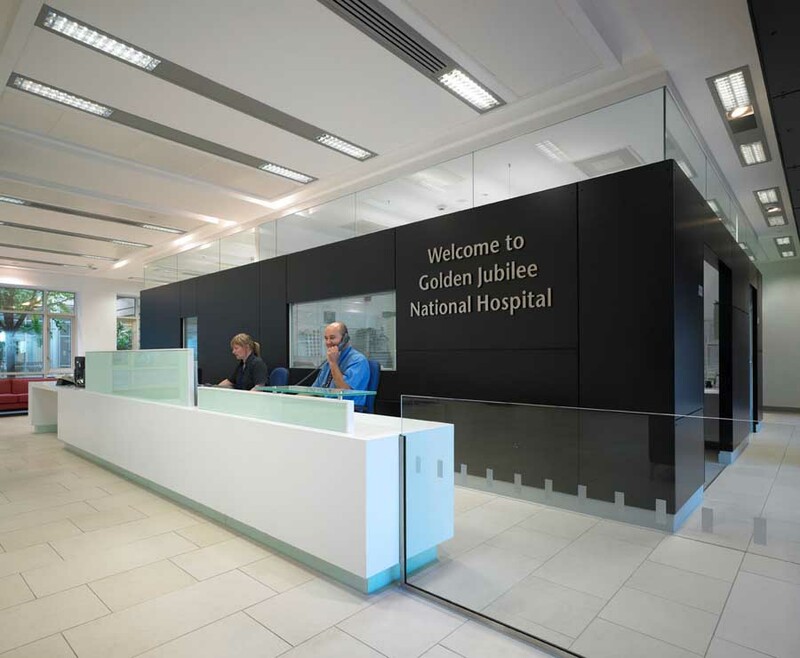 The Golden Jubilee National Hospital is part of the the NHS National Waiting Times Centre – an NHS Special Board made up of two distinct parts – the Golden Jubilee National Hospital and the Beardmore Hotel and Conference Centre. 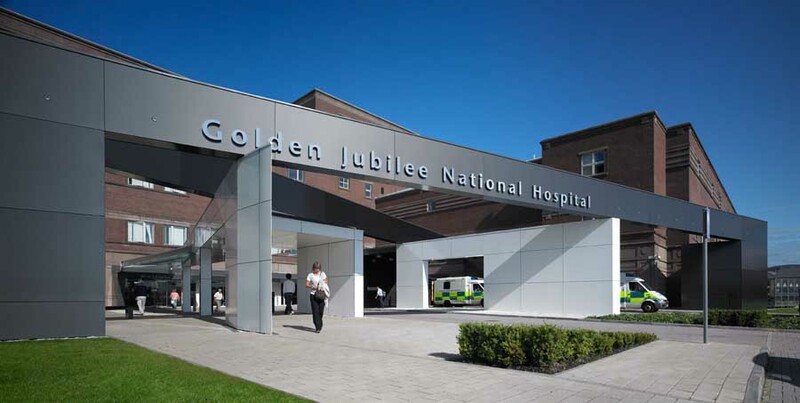 Based in Clydebank, near Glasgow, the Golden Jubilee is Scotland’s flagship hospital for reducing patient waiting times. We receive referrals from across the country in the specialties and services we provide. The Beardmore is now the national NHS and public sector conference and training centre.